REGINA, SK – The Saskatchewan Craft Brewers Association (SCBA) has announced the release of the first collaborative beer to be brewed by its member breweries. 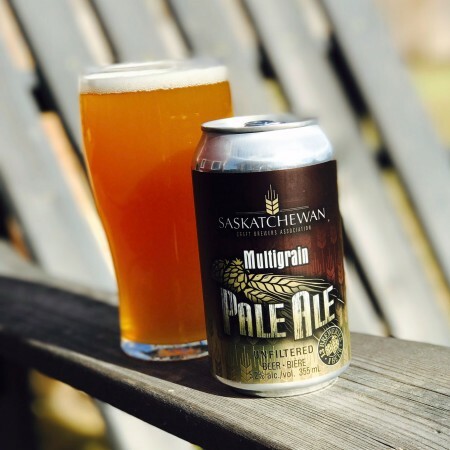 Saskatchewan Multigrain Pale Ale was brewed at Black Bridge Brewing in Swift Current, with brewers and representatives from all 13 SCBA members on hand to assist in the creation of the beer. The beer is a 5.2% abv unfiltered pale ale brewed with a mixture of Saskatchewan barley, wheat, rye and oats, with the result being a “wonderfully hoppy but balanced” ale. Multigrain Pale Ale is being launched today in 355 ml cans that will be available at all participating breweries, and select bars throughout the province. For more details, see the profile and review at On Beer.